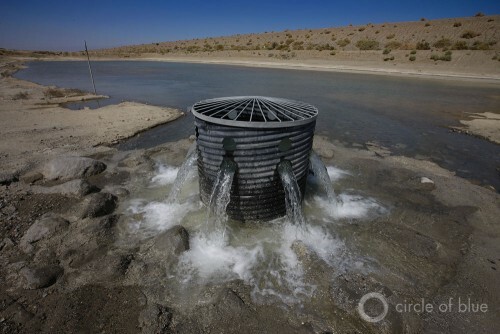 A groundwater recharge facility for the Coachella Valley adds water imported from the Colorado River to the valley’s main aquifer and prevents the land from sinking and damaging the surrounding infrastructure. Chris Thomas, 44, works as a zanjero, or ditchrider, who regulates waterflow to agriculture in the Coachella Valley. 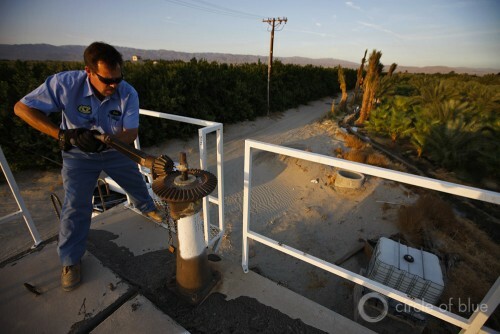 Zanjeros deliver irrigated water to farmers and other users, adjusting flow according to calculations from the Coachella Valley Water District Authority. Public schools in California would have to stop using the term “Redskins” for their sports teams or mascot if a bill is approved by state legislators. Assembly Bill 30, authored by Assemblyman Luis Alejo, D-Watsonville, would prohibit schools from using the name beginning Jan. 1, 2017. If the legislation becomes law, California would become the first state to ban the use of Redskins for public schools. The Assembly Committee on Arts, Entertainment, Sports, Tourism and Internet Media and the Education Committee have approved the bill. It now heads to the Appropriations Committee before it can go before the full Assembly and then the Senate. The four high schools in California that still use Redskins as their mascot are Chowchilla in Madera County, Gustine in Merced County, Calaveras in Calaveras County and Tulare Western in Tulare County. “We’ve been down this road since, I believe, 1996,” said Calaveras Unified School District Superintendent Mark Campbell. “This bill seems to have a better chance to pass. “I don’t pretend to think some people aren’t offended by the use of Redskins. We understand that and if we have to make a change, we will. Our community doesn’t want it, our Native American community doesn’t want it, but if we have to, we’ll make the change,” Campbell said. If forced to make the change, Chowchilla and Gustine won’t be as willing. “We don’t call those offended by the term Redskins, Redskins. 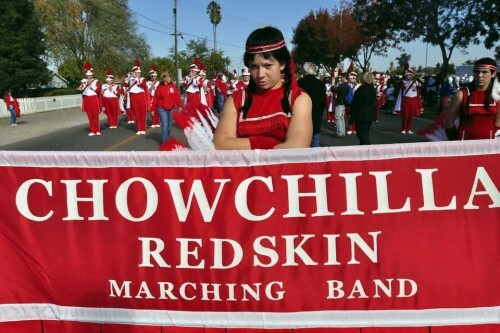 We call ourselves Redskins,” said Chowchilla Union High School District Superintendent Ron Seals. “We use the term as a sense of pride, respect and honor. We don’t use it in a derogatory way. “It’s been our school mascot since the (1920s). In the fall, we’re going to celebrate our 100-year celebration. We are a one-high school town. We’re a small community with lots of alumni and generations of Redskins,” Seals said. To help offset cost issues, the California Racial Mascots Act would allow schools to continue using uniforms and other items bearing the term Redskins that were purchased before Jan. 1, 2017, if the school selects a new mascot and doesn’t buy new uniforms with the old nickname. Schools would be able to replace up to 20 percent of uniforms with the old name until Jan. 1, 2019. The costs of phasing out the name go far beyond uniforms for teams, cheerleaders and bands. There are gyms, scoreboards and other things on campus that would have to be changed. Campbell estimates it would cost roughly $55,000 to $65,000 for Calaveras to eliminate the term Redskins from the school. Anticipating that eventually it would have to change, the school has been using Calaveras more than Redskins on projects around campus. Estes, Gustine Principal John Petrone and the five GUSD board members signed a letter sent to Assemblyman Patrick O’Donnell, chairman of the Assembly Education Committee. This isn’t the first time these schools have faced the possibility of making these changes. The use of Redskins as a mascot has been a heated debate, including the NFL’s Washington Redskins. This is the third time state lawmakers have tried to ban the use of Native American terms as nicknames or mascots. In 2002, a bill calling for the ban of nicknames such as Indians, Braves and Chiefs was introduced but failed. In 2004, Jackie Goldberg, who was then an assemblywoman from Los Angeles, narrowed the bill to ban just Redskins. The bill was passed by the Legislature but vetoed by then-Gov. Arnold Schwarzenegger. Like Estes, Seals feels those decisions should be made at the local level. He said school officials won’t have any discussions about a possible new nickname if and when a law is passed. OAKLAND, CALIFORNIA — On Saturday, February 7, eight thousand Californians marched in the largest anti-fracking demonstration in US history. 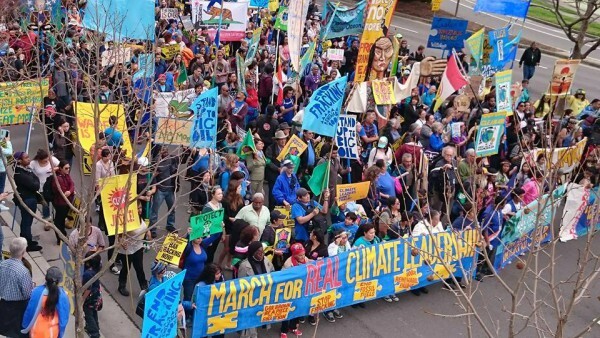 The “March for Real Climate Leadership” was held in downtown Oakland, Gov. Jerry Brown’s home city, in order to focus on the need for Brown to end fracking.”We’re here, marching in Jerry Brown’s hometown, to let him know climate leaders don’t frack,” said Linda Caputo, fracking coordinator for 350.org, an international organization that fights climate change. The marchers assembled in front of City Hall in downtown Oakland, then traveled nearly two miles to the Lake Merritt Amphitheater where a rally was held. Various marchers held signs proclaiming “Idle No More,” “Our Oceans Are Rising, so we Rise Up,” ” No Keystone Pipeline,” “Save the Delta,” “Save Mother Earth,” among many others. Nanette Bradley Detz & Pennie Opal Plant – Photo Credit: Steve Storm. Pacific Islanders sang traditional songs, along with many marchers drumming, singing, and sending a peaceful yet powerful message to Gov. Jerry Brown. The march was organized by a large coalition of environmental organizations composed of the Indigenous Block to end fracking that included SF Idle No More, led by Pennie Opal Plant, Marshall Islanders, various California tribes, including Ohlone leader, Corrina Gould, Los Angeles Chapter of AIM, AIM West of Northern California, and many Native Americans from the Bay Area and other parts of California. The Indigenous Block led the march. Other organizations included labor unions, local environment justice groups such as 350.org ,Food and Water Watch, national NGO’s, various health activists, community activists, students, and those committed to protecting water and air for generations to come. “Fracking is hurting our communities. It is sucking our drought ridden state of precious water resources, contaminating our groundwater in a region where 25% of the nation’s food is grown, and contributing to the impending climate crisis. Oil companies have made Californians feel powerless and silenced, because our governor is only listening to their money,” UC Berkeley student Eva Malis said. Contingents of marchers traveled from San Diego, Los Angeles, Fresno, and the central coast of California. The rally at Lake Merritt amphitheater began with a traditional Pacific Island chant, then a prayer by Bay area Marshall Island community leader Abon-Burch. Fuifuilupe Niumeitolu then introduced a group of Marshall Island youth who sang traditional songs about water and love for their Moana. Dianne Thomas, a community organizer from Carson, California reported that in 2011 Occidental Oil Company wanted to re-open old oil wells and build 200 new wells over a period of ten years. “As a community, we continued to organize and fight Occidental Oil, even though we only had the support of one council member in our favor. 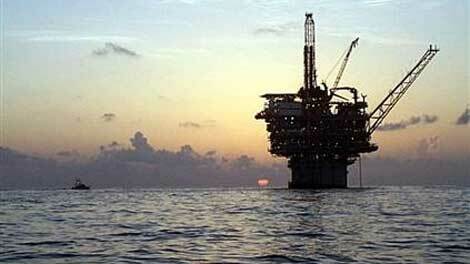 The draft EIR report never got out of the response phase, and eventually Occidental Oil pulled out of Carson. When we all work together, we can prevail,” said Thomas. On Monday, February 8, organizers of the anti-fracking march and rally will present Gov. Jerry Brown with 200,000 signatures demanding an end to fracking throughout California. 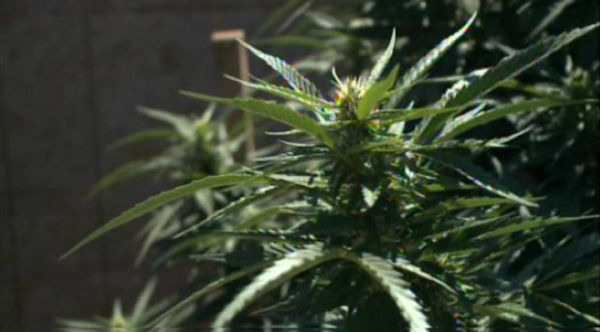 The Pinoleville Pomo Nation in California plans to grow and manufacture medical marijuana. The Pinoleville Pomo Nation in northern California’s Mendocino County is set to be the first tribe to grow and manufacture medical marijuana on tribal land. The tribe has inked a deal to develop an indoors grow facility on its rancheria north of Ukiah. “We anticipate construction to begin in early February, and operations to commence by the end of the month,” Barry Brautman, president of FoxBarry Development Company, LLC, told Indian Country Today Media Network. FoxBarry Farms—a subsidiary of the Kansas-based firm, which partners with tribes on economic development projects ranging from farms to casinos—will help develop the “state-of-the-art greenhouses, as well as processing and office space,” Brautman said. FoxBarry will additionally manage distribution of the medical marijuana and related products in the state. “Our first phase will include 90,000 feet of greenhouse space, and another 20,000 feet of indoor space,” Brautman said. The operation will sell marijuana only for authorized medical users and dispensaries in accordance with California state law. Many anticipate California to join at least four other states in legalizing recreational use of marijuana next year. FoxBarry has pledged $30 million to develop at least three medical marijuana facilities on tribal lands in northern, central and southern California. Brautman noted that FoxBarry has reached terms with one other Indian Nation, though he declined to identify the tribe at this time. Colorado-based United Cannabis will offer consulting services to the FoxBarry-managed medical marijuana farms, particularly related to cultivation, harvesting, processing and sales of medical marijuana and medical marijuana-infused products. Under the licensing agreement, United Cannabis will receive $200,000 in prepaid royalties and 15 percent of net sales. In return, FoxBarry will have exclusive distribution rights to United Cannabis products in California. “The project will be producing the full range of medical marijuana and medical marijuana-infused products under the licensing agreement with United Cannabis,” which will include leaves, flowers, hash, hash oil, medicinal pills, medicinal liquids/oils, and much more, Brautman said. The products will contain various levels of the psychoactive ingredient tetrahydrocannabinol (THC) and the non-psychoactive cannabidiol (CBD). “This includes many ‘inactive’ products,” he added. While CBD has been widely touted for its medicinal benefits, particularly in reducing symptoms of intractable epilepsy, pot strains with higher levels of THC have proven effective in controlling the symptoms of autism in some children by stimulating brain cell signaling and reducing certain dysfunctions, reported the San Francisco Gate. United Cannabis is also a supplier of the marijuana-derived Prana Bio Nutrient Medicinals, available in oil and pill form in micro doses. The medicine seeks to target patient aliments related to the central nervous system or the immune system, respectively. Hemp—the non-psychoactive cannabis that can be used to make more than 25,000 products ranging from clothing to dynamite — may come into play in the future. “We are talking with several tribes about industrial hemp, although our main priority is getting our grow op projects open and online,” Brautman said. RELATED: What Does Marijuana Memo Mean for Hemp Production and Traditional Uses? 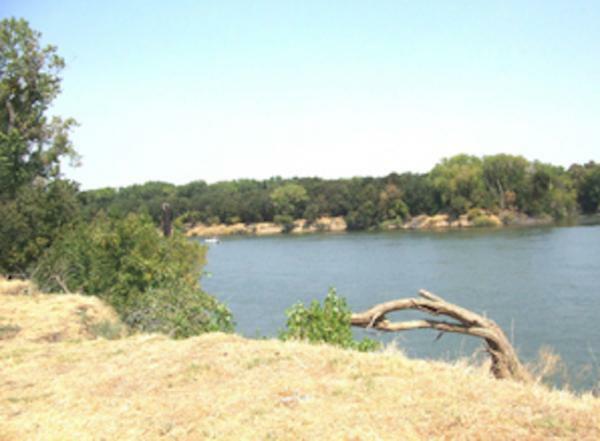 Teeth and bone fragments were found last week near Sacramento, and officials say that they belonged to a prehistoric Native American. At 11 a.m. on August 15, a passerby noticed what looked like human teeth and bone fragments on a small beach near the Sacramento River, the Daily Democrat reported. The human remains were noticeable because the water levels in the area have dropped due to a drought. And on Wednesday, the Yolo County Coroner’s Office announced that the bones were, indeed, prehistoric – which means they predate written record. Chief Deputy Coroner Gina Moya said the bones were collected and later submitted to the Chico State Human Identification Laboratory. It was there that the bones were discovered to be prehistoric Native American. Once the bones were identified as Native American, Moya said, officials contacted the California Native American Heritage Commission, so the bones could receive a ceremonial burial. On August 16 – one day after the human remains were found in California – more bones were discovered at a popular lake in Steuben County, Indiana. A resident in the area found the bones by the shoreline of a lake, News Channel 15 reported. Additional human remains were located in the water by Indiana Department of Natural Resources scuba divers following an underwater search. Archeologists with the University of Indianapolis reported Monday the remains are of a “prehistoric” Native American. The governors of California, Oregon and Washington sent a letter to Interior Secretary Sally Jewel on Thursday to stress that they don’t want the possibility of drilling off of the West Coast. The Interior Department is developing an updated plan for its Outer Shelf Oil and Gas Leasing Program, and the governors formally stated their opposition to the inclusion of any oil or gas lease sales off the coast as part of any new plan. Govs. Jay Inslee, of Washington, Jerry Brown, of California, and John Kitzhaber, of Oregon, wrote that their three states “represent the fifth-largest economy in the world” and their ocean-dependent industries contribute billions of dollars to the region each year. “While new technology reduces the risk of a catastrophic event such as the 1969 Santa Barbara oil spill, a sizeable spill anywhere along our shared coast would have a devastating impact on our population, recreation, natural resources, and our ocean and coastal dependent economies,” they wrote. The governors, all Democrats, also stressed a commitment to develop a strategy to combat climate change. Inslee spokesman David Postman said that while there aren’t any current plans for West Coast leases, the governors want to ensure there aren’t any in the new plan. 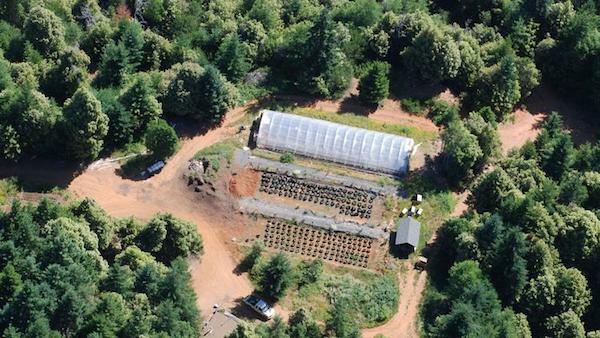 One of the many illegal marijuana farms that federal agents uprooted in a raid on July 21. The drought in California is exacerbating the effect that illegal marijuana farms have on the Yurok ’s water supply, and on July 21 federal and state agencies raided several properties on or adjoining the reservation along the Klamath River. The raid was conducted at Yurok officials’ request, the Los Angeles Times reported, and involved the California National Guard, the Bureau of Indian Affairs, Bureau of Land Management, California Department of Justice’ North State Marijuana Investigation Team, and Yurok police. Operation Yurok, as it was called, was coordinated by the Humboldt County Sheriff’s Drug Enforcement Unit. Not only that, but access to one sacred ceremonial site is blocked by a pot farm, O’Rourke told the Los Angeles Times. And growers have become brazen enough to trundle supplies to and from the farms in broad daylight. CORNING, Calif. (AP) – A federal judge has banned guns from a Native American casino in Northern California that is at the center of an escalating tribal dispute, citing a potential threat to public safety. U.S. District Judge Kimberly J. Mueller imposed a temporary restraining order Wednesday on the Paskenta Band of Nomlaki Indians prohibiting disputing factions from deploying armed guards or bringing firearms within 100 yards of the tribe’s Rolling Hills Casino in Corning, California. The order remains in effect until July 2. The judge stopped short of closing the $100-million-a-year casino, as one faction had requested, until the battle over who controls the tribe and its resources is resolved. The factions were scheduled to meet for mediation Friday, the Sacramento Bee reported. The office of Attorney General Kamala Harris filed for the restraining order Tuesday to prevent any public safety threat after both sides hired armed personnel on the casino grounds. The weapons ban extends to tribal properties around the casino, including nearby hotels and an RV park. The two rival security groups faced off on casino grounds June 9 as deputies from the Tehama County Sheriff’s Department had to intervene, Assistant Sheriff Phil Johnston said. Deputies spent a week at the casino trying to keep the peace, he said. Sheriff Dave Hencratt said Friday that his department has removed a command post, as he hopes the factions will be able to reach a conclusion. He said, however, that the department would enforce the restraining order if necessary. “We all want this to be resolved peacefully,” Hencratt said. Tensions arose in April when the tribe’s general council voted to remove more than 70 members from the tribe’s rolls. The dispute centers around who qualifies for membership and the $54,000 a year in casino payments, as well as trust funds and scholarships for children. Those taken off the rolls included three members of tribe’s governing body. They were recently reinstated – even though they have been barred from entering the casino under orders from tribal chairman Andy Freeman. Meanwhile, the federal Bureau of Indian Affairs said June 9 that it recognizes the three ousted council members as part of the tribe’s governing body. A fourth tribal council member, who allegedly vacated his seat and joined the ranks of the three removed council members, is also being recognized by the federal agency. Redwood burl poaching has long been an issue in the Redwood National Park in California. But now a conservation group says it’s spotted evidence of this type of tree damage in a national forest in Oregon. Burls are the knobby growths sometimes found at the base of towering redwood trees. They’re highly valued for their intricate designs. Cross-sections are used to make furniture or artwork. There’s been an uptick in the theft of redwood burls from public lands in northern California’s redwood region. Now Oregon Wild says it’s spotted a burl theft in one of Oregon’s redwood groves in the far southwest part of the state. The group’s Steve Pedery said that a redwood usually survives having its burl removed. Forest Service spokesman Tom Knappenberger said the agency is taking the report seriously. He said theft of redwood burls is potentially a felony violation. CALIFORNIA -New guidelines for safe consumption of fish and shellfish of interest to a Clear Lake-area Pomo tribe were released last week by the state Environmental Protection Agency. The recommendations are based on the levels of mercury found in 15 species of fish and shellfish in Clear Lake, long known for contamination from extensive mercury mining from the 1870s to as recently as 1957. 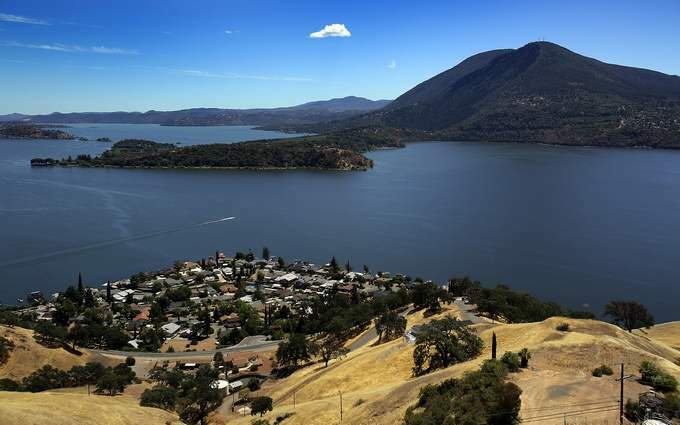 The state EPA’s Office of Environmental Health Hazard Assessment said it developed the food advisory based on requests from the Big Valley Rancheria Band of Pomo Indians located in Finley, a small town near Lakeport. Species added to the new guidelines based on the tribe’s interest include threadfin shad, prickly sculpin, mosquitofish, inland silverside, winged floater mussels and Asian clams, the EPA said. Sarah Ryan, the tribe’s environmental director, said clams were the Pomos’ main interest. Tribal members who eat clams from the lake recall their parents and grandparents doing the same, she said, though it was unclear whether those clams were the same kind that are eaten today. Beyond that, Ryan said it seemed right to assess the mercury in other species from the lake. “We’re really glad they took on the task,” she said. “They are an excellent source of protein and can help reduce the risk of heart disease,” he said. The guidelines are designed to help people balance the health benefits “against the risk of exposure to mercury from fish in Clear Lake,” Alexeeff said. Mercury can harm the brain and nervous system of people, especially in fetuses and children, the EPA said. Consumption standards for women age 18 to 45 and children under 18 are more restrictive than they are for women over 45 and men. The advisory said that all people can consume seven servings a week of Asian clams or winged floater mussels, and that women over 45 and men can eat the same amount of inland silverside or threadfin shad. Women 18 to 45 and children should limit silverside and shad to three servings per week, and should limit the other 10 species — blackfish, bullhead, catfish, crayfish, mosquitofish, bluegill or other sunfish, carp, crappie, hitch and prickly sculpin — to one serving a week. Women over 45 and men can eat three servings a week of the 10 species, or one weekly serving of bass. Younger women and children should not eat bass. Six other tribes — the Elem Indian Colony, Robinson Rancheria, Middletown Rancheria, Scotts Valley Rancheria, Koi Nation and the Habematolei Pomo — are also located in Lake County. Mercury mining was prevalent in the Clear Lake area in the late 1800s, including a productive site, the former Sulphur Bank Mercury Mine, which operated on the lake’s shore until 1957, the EPA said. The advisory on eating fish from the lake was originally issued in 1987 and was last updated in 2009.